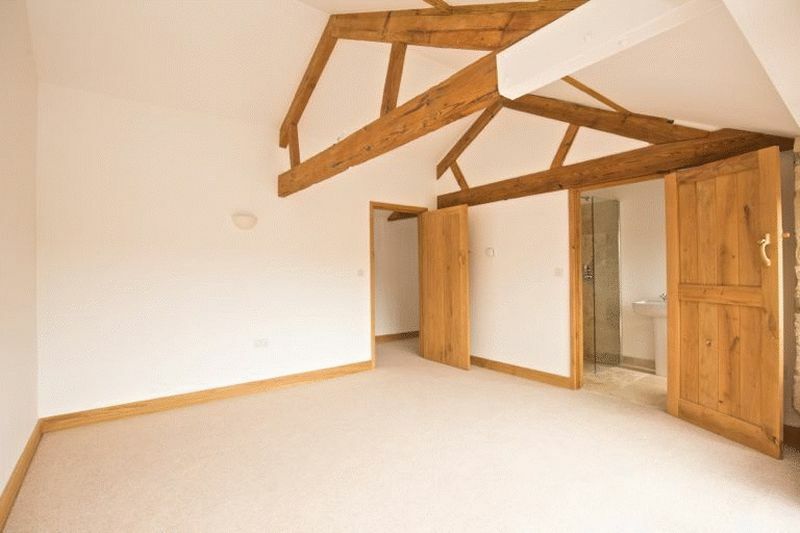 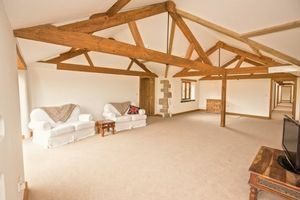 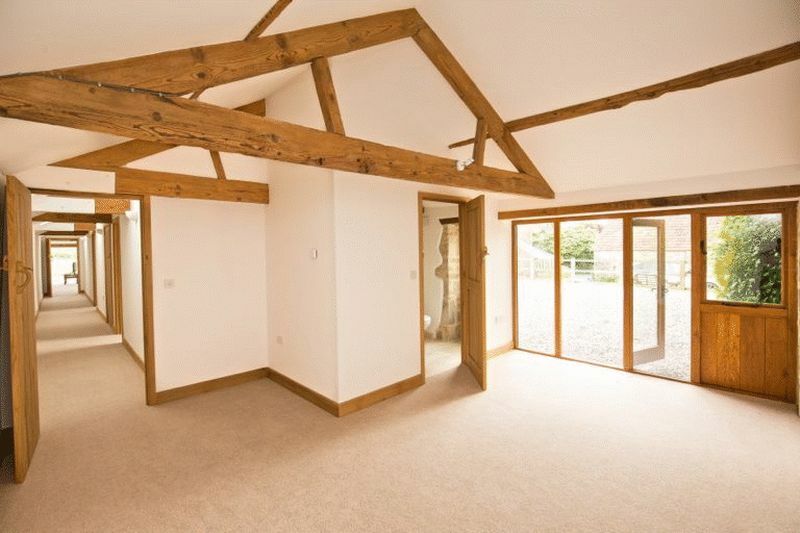 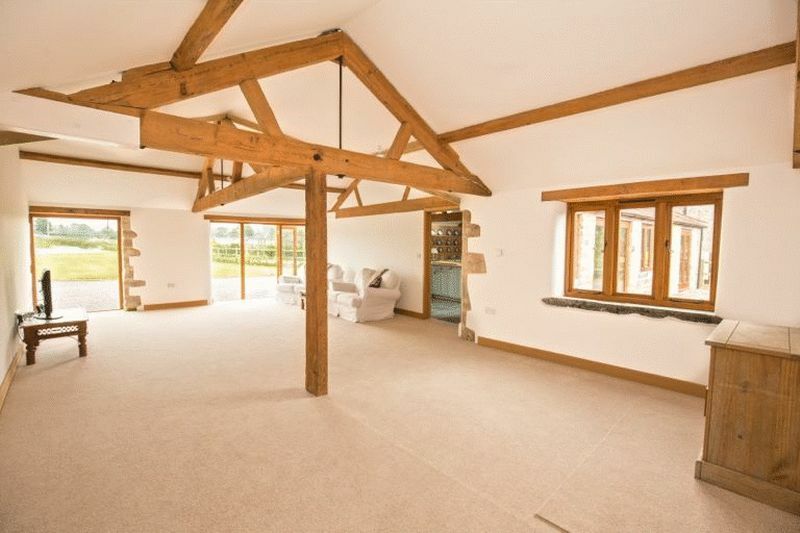 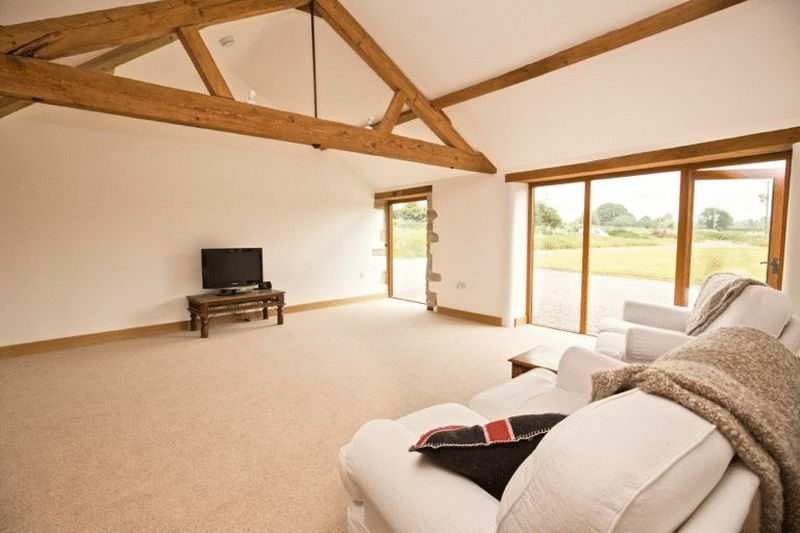 This recently completed fabulous barn conversion really needs to be viewed to appreciate the superb finish and attention to detail throughout. 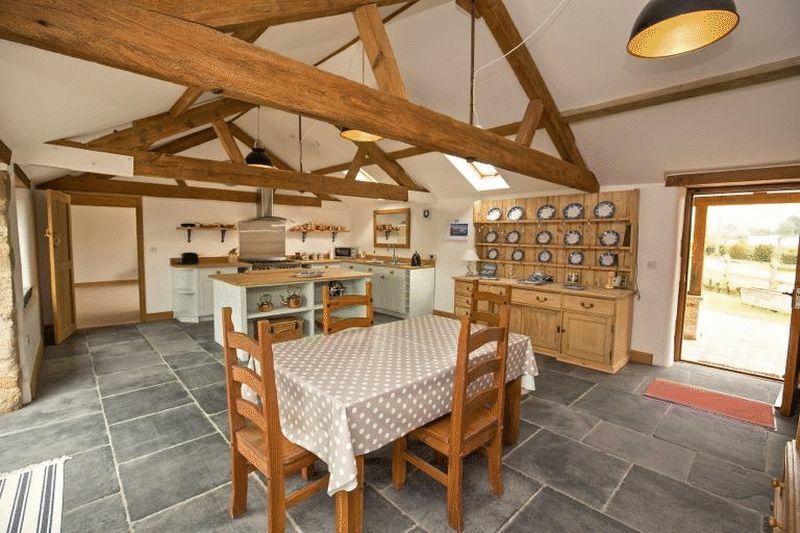 Beautifully appointed accommodation combining character and style with 4 acres of land and the advantage of being tucked away in a rural location at the end of a private lane. 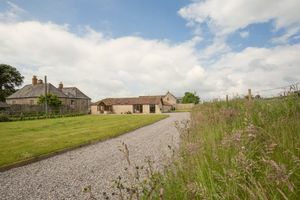 The Old Byre is tucked away at the end of a tree-lined private lane which in turn leads to Hurlingpot Farm. 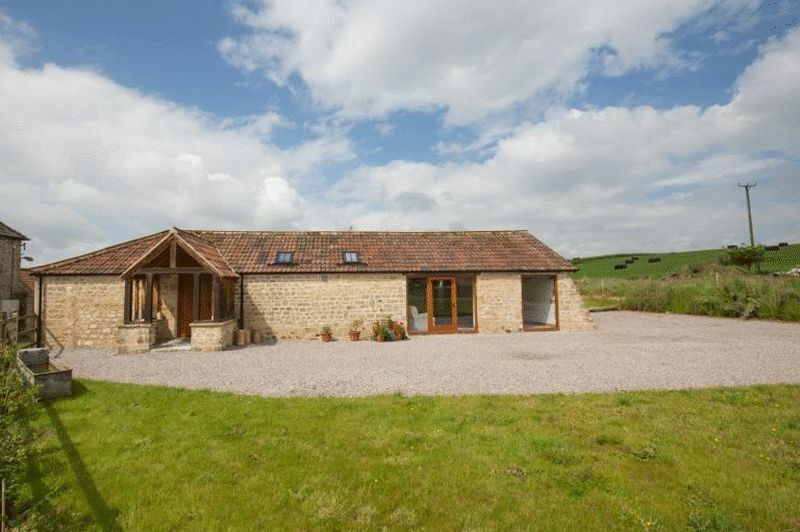 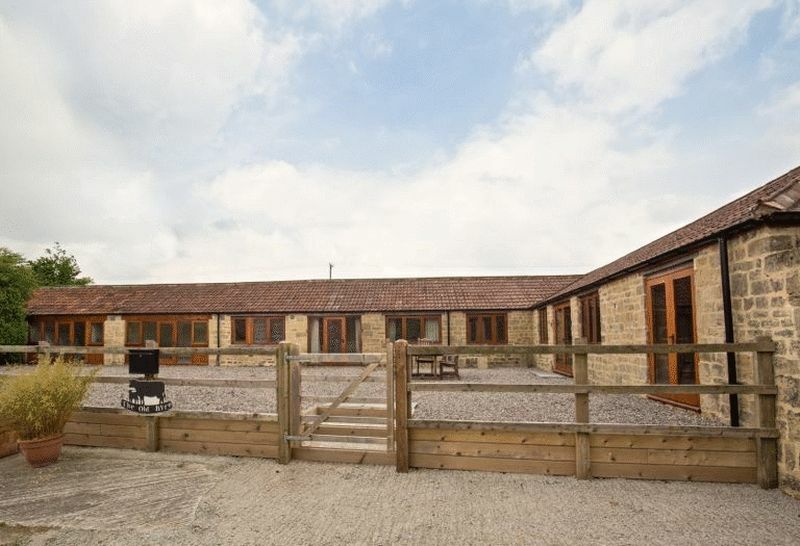 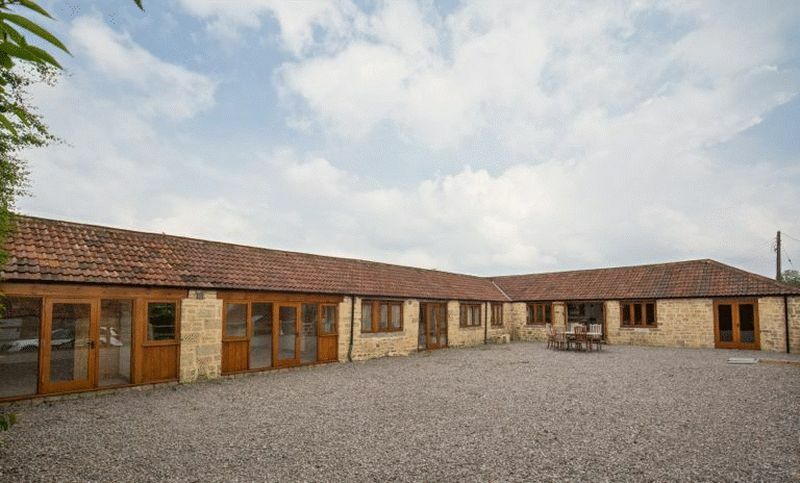 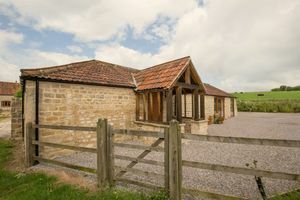 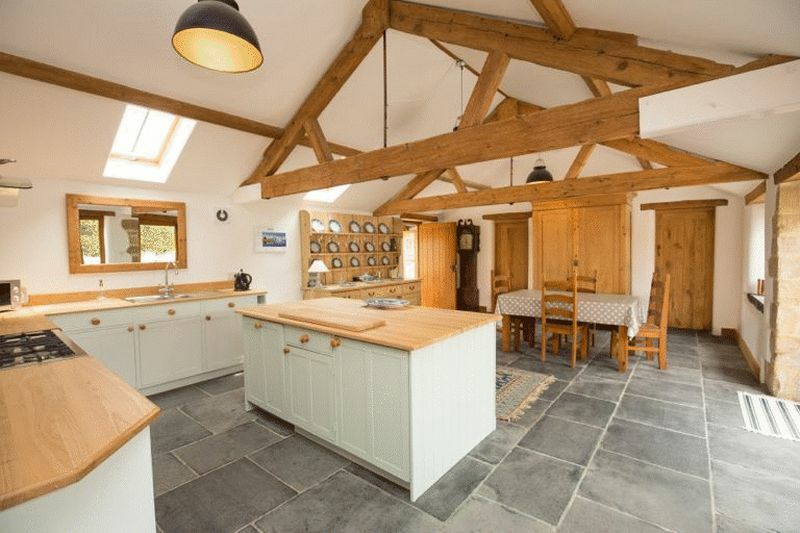 Dating back over 200 years the barn was originally a cow shed and milking parlour, and has been restored using the same local Doulting stone as was in the original building. 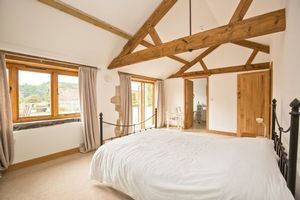 The attention to detail is superb with exposed ‘A-frames’ in all of the principle rooms and bespoke oak doors throughout. 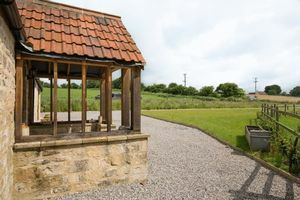 The restoration has re-used the original hand dressed Blue Lias window sills, lintels sawn from a local Oak tree and hand dressed solid stone sets to name but a few. 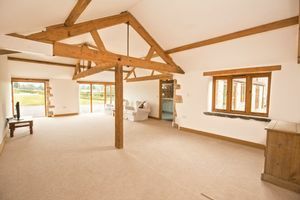 Complementing the traditional materials are modern comforts such as room zoned underfloor heating, bespoke oak windows with double glazing of 4mm ‘warm-edged’ toughened glass and solid insulation in the roof. 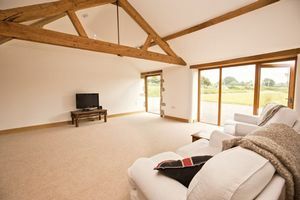 The ‘L-shaped’ barn is set around a courtyard and every room apart from the sitting room, has a door leading out to this south facing area. 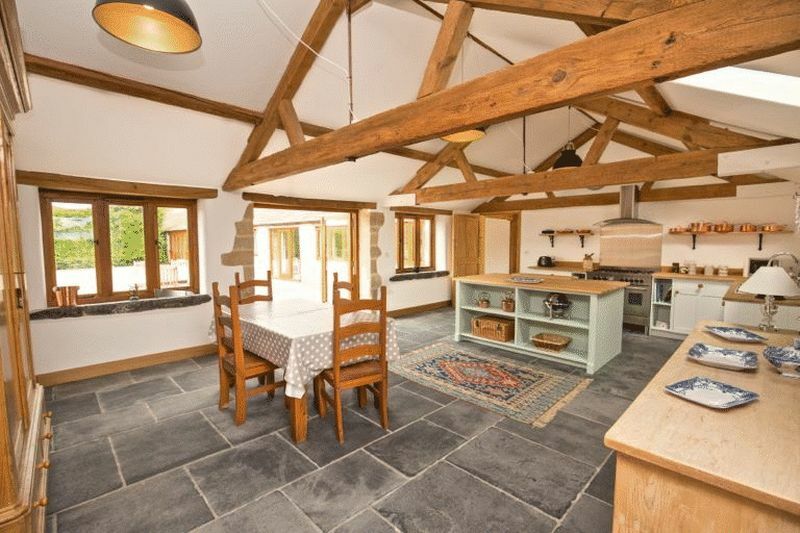 A stone and oak framed porch with original hand dressed solid stone sets leads to the solid oak front door and into the splendid KITCHEN/DINING room. 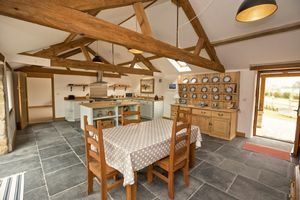 The hand-built kitchen has hand painted wooden base cabinets and island unit with solid oak worksurfaces, is fitted with an integral fridge and dishwasher with space for a Range cooker. 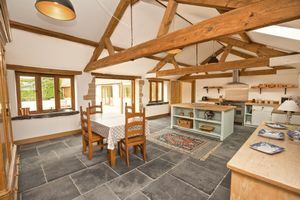 At one end of this fabulous room is a dining area with ample space for a large table and chairs and double doors leading out to the courtyard.. 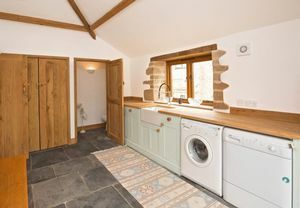 The flooring is limestone, which continues in to the UTILITY ROOM which is a very generous size and is fitted with the same style cabinet as the kitchen and a Belfast sink. There is ample space for a washing machine, tumble dryer and freezer along with cloaks hanging space. Double doors lead to the courtyard. 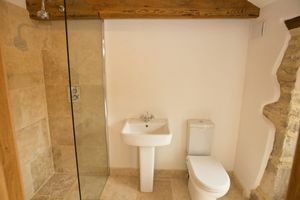 At the other end of the room is a large walk-in cupboard/pantry and a door leading to the CLOAKROOM that it fitted with a wash hand basin and wc. 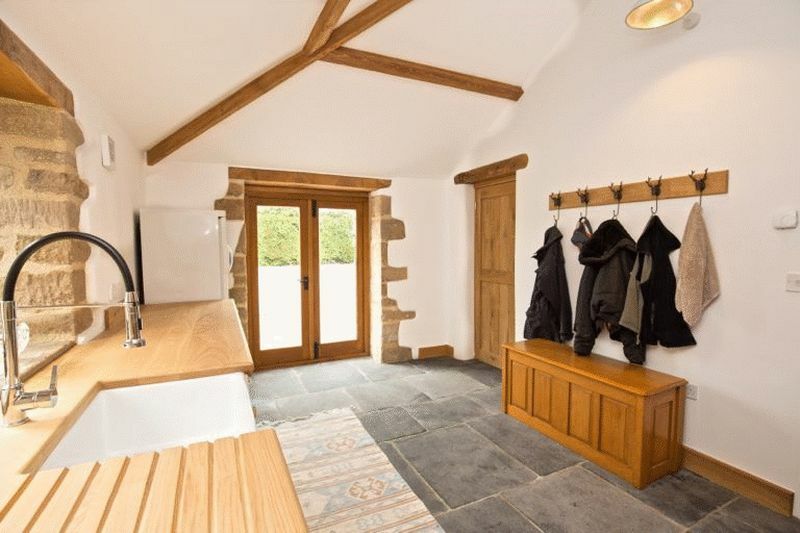 Returning to the kitchen a door leads into the spacious SITTING ROOM that has been carpeted, has exposed stone around the doorways and the exposed ‘A-frame’. 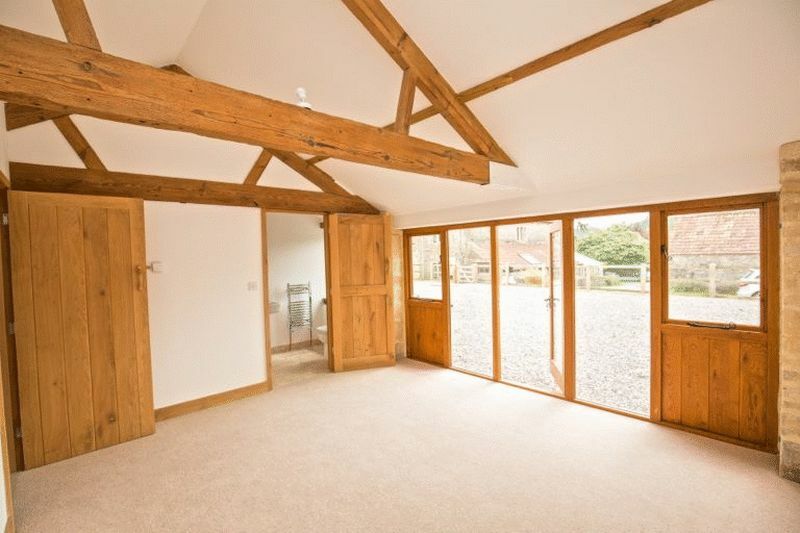 Full height windows and a glazed door look out from the barn across the front garden and to the land beyond. This large room could easily be divided off with the addition of a partition wall to create and office or even a 4th bedroom if required. The HALLWAY from the rear of the sitting room has conservation style roof lights and an airing cupboard that houses a hot water cylinder and under floor heating system. 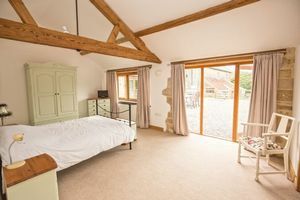 The BEDROOMS are all generous double rooms, all carpeted and with oak and glazed windows and doors leading out onto the courtyard. 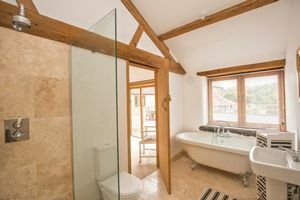 Bedroom one has an EN SUITE BATHROOM with Travertine tiled flooring, freestanding claw-foot bath, large walk-in wet room shower, wash hand basin, wc and heated towel rail. 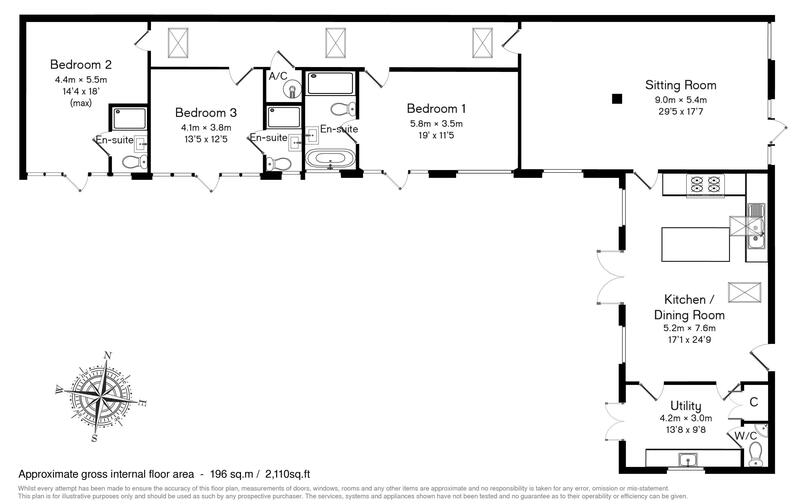 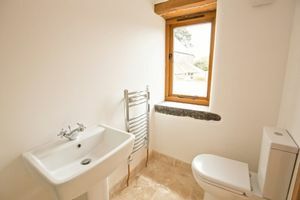 Bedrooms two and three have EN SUITE SHOWER ROOMS both having Travertine tiled flooring, large walk-in wet room shower, wash hand basin, wc and heated towel rail. 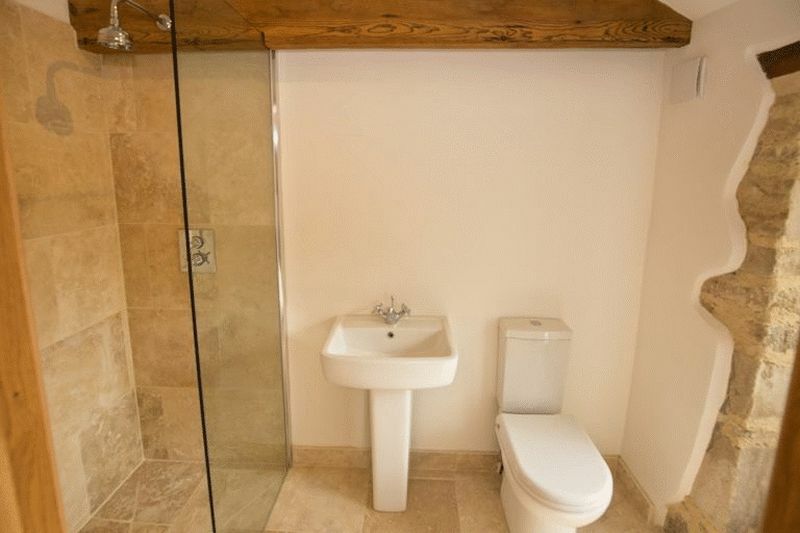 All bathrooms have exposed ‘A-frames’ and windows. 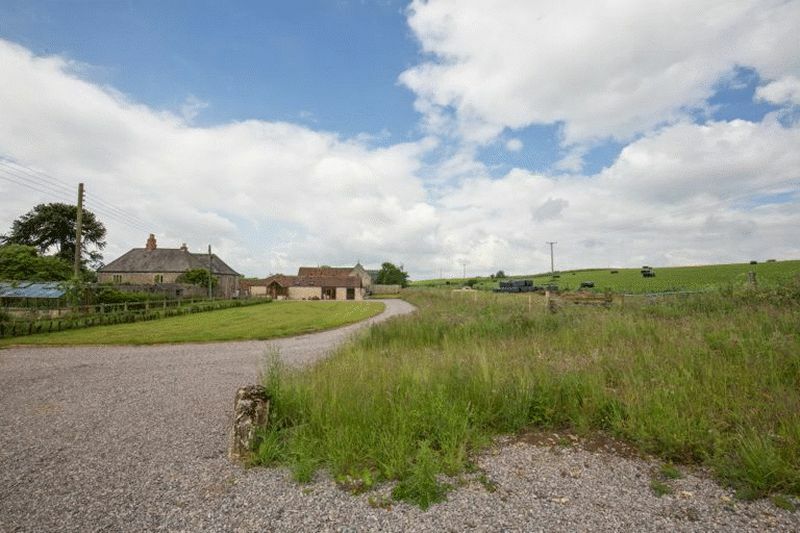 The separate turning off to a gravel track to the entrance driveway to the barn is an exclusive right of way for The Old Byre. 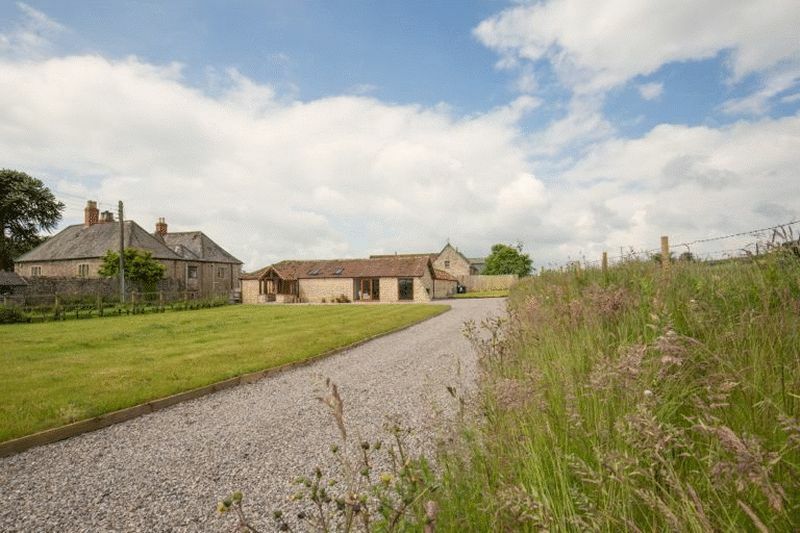 It is owned by the neighbouring property but is maintained by the owners of The Old Byre because of the exclusive right of way that is enjoyed by them. The entrance to the barn is a gravelled driveway the leads to the easterly facing front and side with plenty of parking. The boiler and oil tank are located to the side of the barn and private drainage is provided with a septic tank at the very front edge of the lawn and entrance from the driveway in. 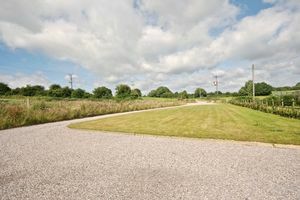 From the front driveway of the barn, a track leads to the LAND of just over 4 acres. 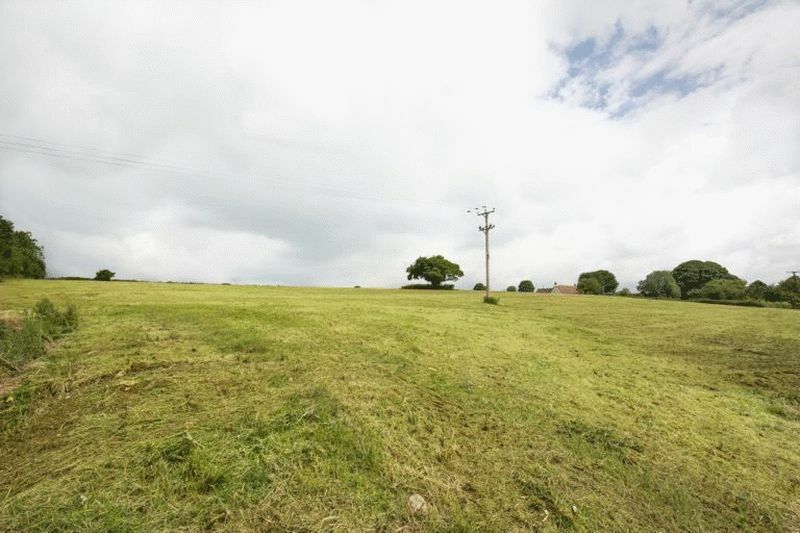 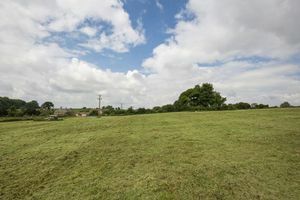 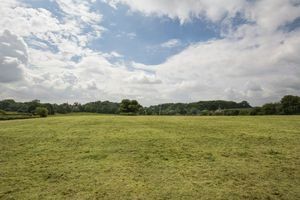 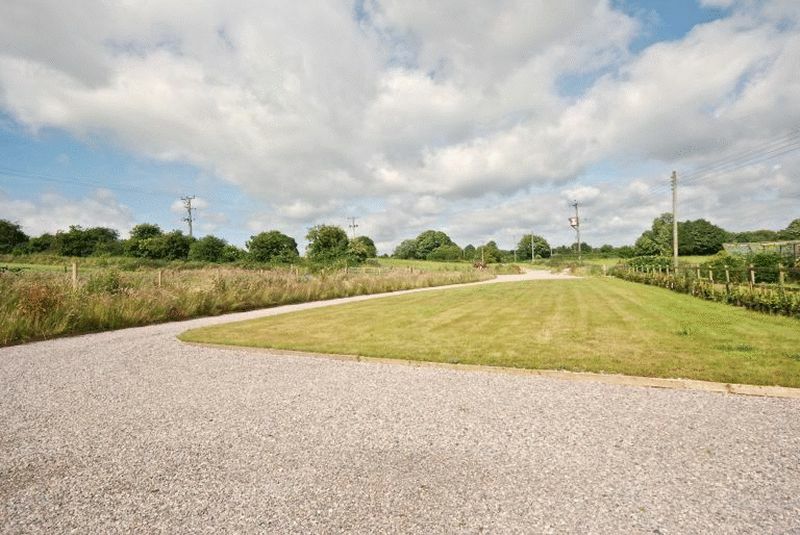 It is bounded by post and wire with hedgerow and would be ideal for livestock or horses. 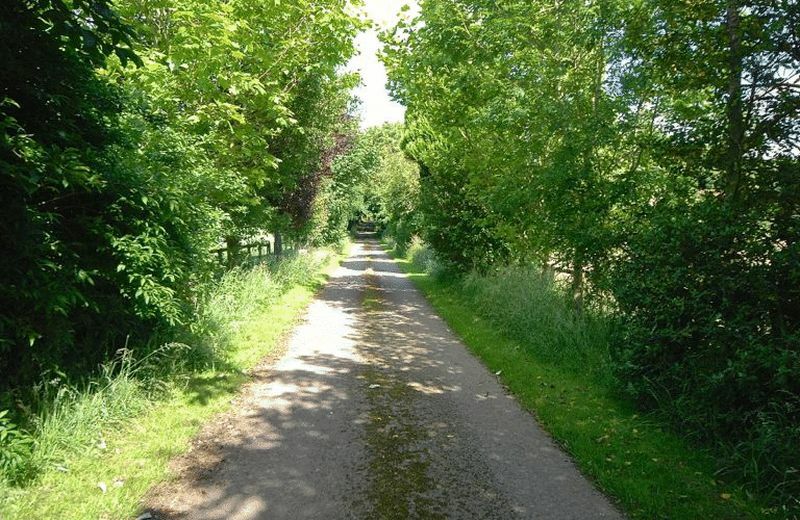 There is an agricultural right of way along the southern boundary that leads to Chelynch Road. To the southern side of the barn is a gravelled courtyard with a western boundary of post and rail fencing and mature hedging. From the A361 heading towards Frome head into the village of Doulting and take the left turn into Chelynch Road. Follow for half a mile and take the turning on the left into Kings Road and then left onto a tree-lined lane. Take the first turning right onto the gravelled track which in turn leads onto the driveway of The Old Byre.